New Assetto Corsa series starting April 8th! 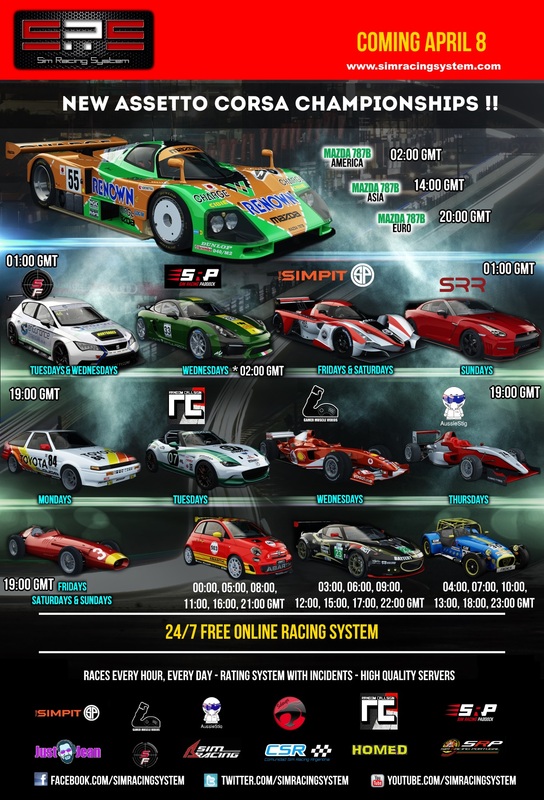 Sim Racing System Sim Racing System News New Assetto Corsa series starting April 8th! We are delighted to announce the new Assetto Corsa series! Fuel consumption:200%, Tyre wear:170% & pit window 00:10 - 00:50. Some youtuber series will feature one or more rounds with 20 min qualy + 1 hour race. ** GMT time & day. Awwwwwwww yissssssss what an awesome lineup. Holy Moly what a selection! Can´t wait! And the AE86...I am drooling already! Which version of Montreal is being used for Tatuus race? It isn't listed in the Mod list. Looks like both series I'll have time for are for cars I've already arted up. Maybe I'll make a new Caterham just for shits. It's already moved to the Daily Schedule.